1 jewelry | This Blog Rules | Why go elsewhere? These days you can buy jewelery in all shapes and colors, but what about wearing Barbie’s body parts as earrings, necklace, etc.? 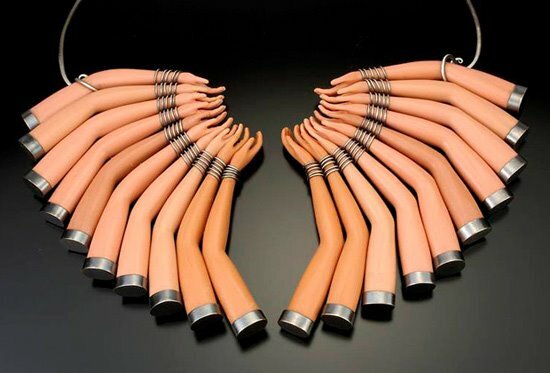 Designer Margaux Lange has made a collection of accessories that contains pieces of the plastic princess, everything from breasts to hands. The designer says that she is “fascinated with who the Barbie is as a cultural icon, her distinguished celebrity status and the enormous impact she has had on our society”.